This entry was posted in News on 05/12/2014 by vincentcop. 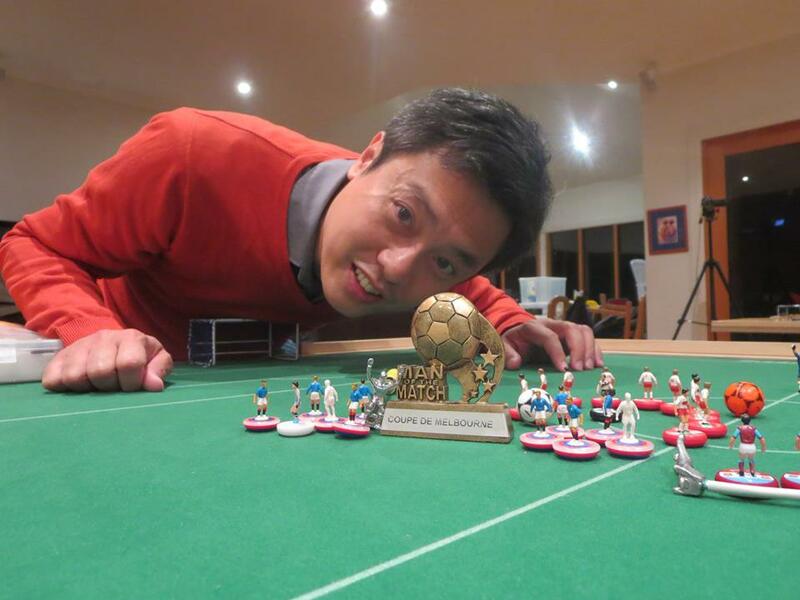 On Wednesday the 25th of June the Melbourne Subbuteo Club hosted the Coupe de Melbourne featuring 5 players including John Ho from Singapore. 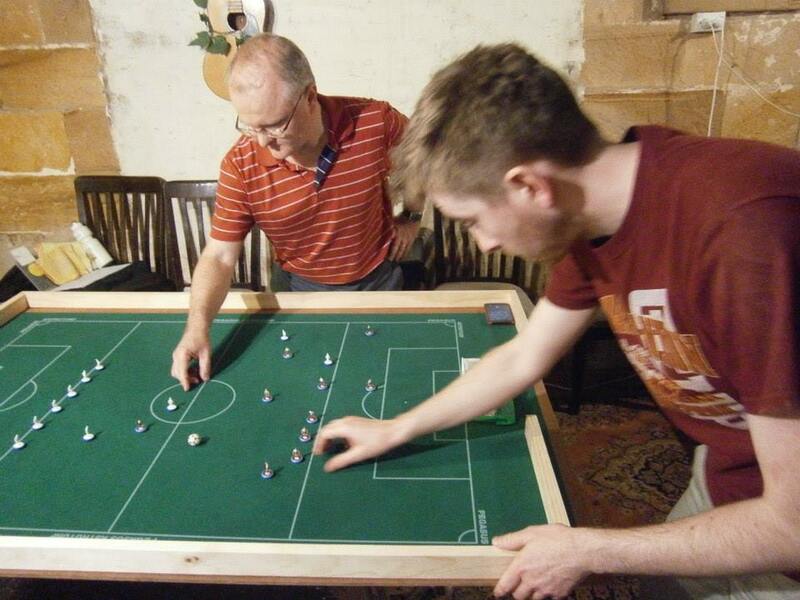 The group stage was a tense affair which saw 30 goals scored in 10 games. 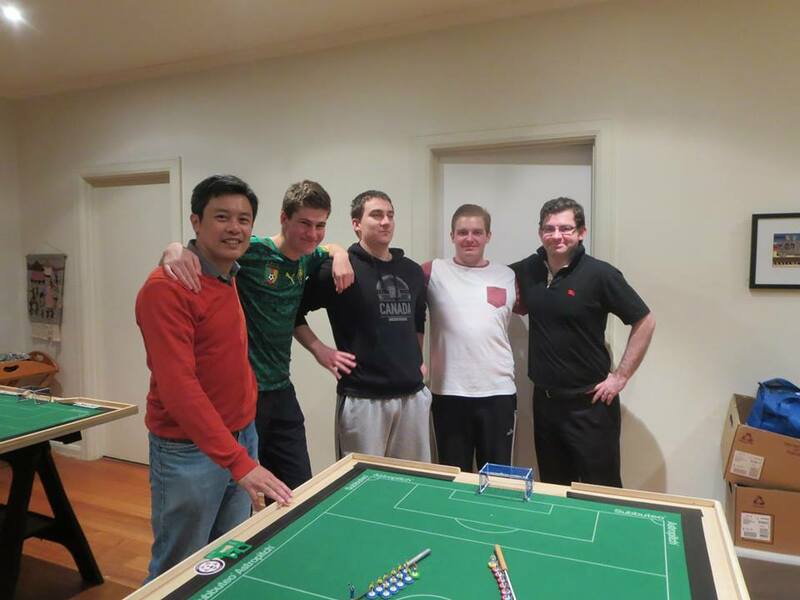 From the group stage Benji batten and John Ho progressed to the final with Luke Radziminski and David Simpson set to contest the 3rd place playoff. Luke managed to claim 3rd place after beating David 3-2 in a thriller. The final itself was a fantastic game of Subbuteo, end to end action between Benji and John produced many chances which john was able to convert two and take out the Coupe De Melbourne winning the final 2-0. 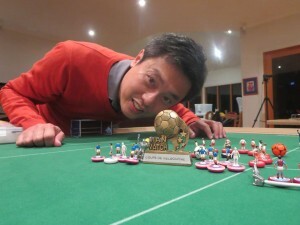 A great tournament, huge thanks to John Ho for coming to play and for your advice! This entry was posted in News, Tournament reports and tagged australian players, Melbourne, results on 26/06/2014 by vincentcop. This entry was posted in World rankings and tagged world rankings on 18/06/2014 by vincentcop. This entry was posted in News, Tournament reports and tagged australian players, results, tournament on 16/06/2014 by vincentcop. In the FISTF rankings of March 2014, Robert Green is ranked 606 in the Open category and 118 in the veterans. Gerald Brightwell is ranked 218 in the veterans. This entry was posted in World rankings and tagged world rankings on 10/04/2014 by vincentcop. In the FISTF rankings of February 2014, Robert Green is ranked 602 in the Open category and 114 in the veterans. Gerald Brightwell is 209th in the veterans. This entry was posted in World rankings and tagged australian players, world rankings on 04/03/2014 by vincentcop. 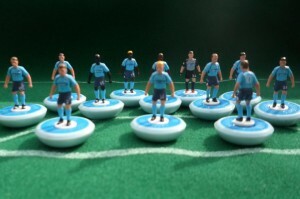 After a few last minute cancellations, the field was whittled down to 5 for the first ever tournament for “Subbuteo Parramatta” (Australia). Everyone played each other in a league format, which quickly sorted itself into the two frontrunners – Eliot and Peter – pulling away from Billy, Terry and Adrian. heading in to the final round, terry needed a win over billy to pull even with adrian in 3rd place, but the two brothers, as at the last tournament, cancelled each other out in a 2-2 draw. The final game saw Peter needing a win over Eliot to top the league, as Eliot had a superior goal difference heading in to the game. A scintillating game took place with peter doing most of the attacking but Eliot defending solidly, and looking dangerous on the counter-attack. eliot had never picked up a point against peter and was looking good to hold on after 29 minutes. Then, with 50 seconds left on the clock, Peter finally got one of his custom chips to find the back of the net and celebrated a great victory. With regular tournament play seeming to improve the quality of all the players, we look forward to heading out to Penrith next month (the exact date will be March 23). This entry was posted in News, Tournament reports and tagged australian players, Parramatta, results on 23/02/2014 by vincentcop.